Max would like to apologize for the lack of posts. He hasn’t had much to say and in the world of the interwebs, max believes if you don’t have anything good to say, silence is a pretty good option. 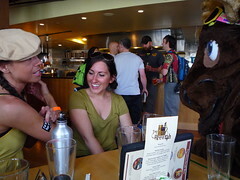 A bit ago max participated in the second Tour de Brewtah. It was almost as wonderful as the first with lots more participants, friends and a few beers. 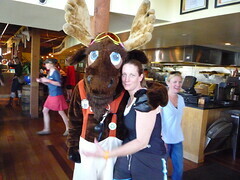 You may have seen max, he was wearing a “Quietly judging you.” t-shirt and riding with some wonderful women and a moose. 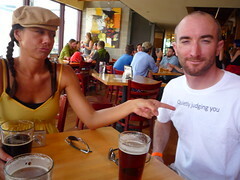 If you have any interest in buying a shirt like max’s you can click the link above, they’re $10 for the cheap ones from Cafepress.com All proceded go to buyin max more beer and funny shirts. You can see more designs here and here. About 200 “I’d kill you for a beer” stickers were passed out at Tour de Brewtah. If you didn’t get one and want one, drop max a line or buy him a beer. There’s an excellent chance you’ll get quite a few stickers those ways. you can always email max @ this website. 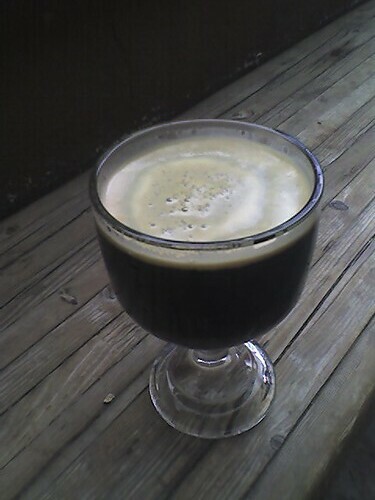 In other buy max a beer news, the state of Utah has decided to be dumb again and make beer specials illegal among other new laws. That will probably mean the end of $3 beers on Tuesdays and who knows what else. 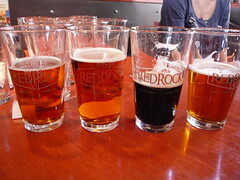 We’ll see how these new laws effect getting a beer in Utah and this website. Apologies in advance for any changes coming to the site soon.